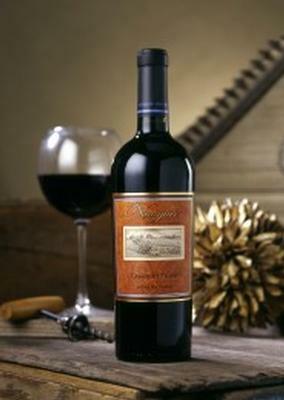 Here’s a little Easter riddle for you…which came first- the Cabernet Franc or the Cabernet Sauvignon? Well, unlike the ambiguous conclusion to the typical “chicken and the egg” conundrum, there is one answer to the Cab Franc-Cab Sauv query…Cabernet Franc. Cabernet Franc is the parent grape to both Cabernet Sauvignon and Merlot. Another fun fact about Cabernet Franc- it is the only red that pairs with that quintessential spring vegetable- asparagus, making our 2017 Cabernet Franc the perfect wine selection for spring! With flavors and aromas of raspberry, blueberries, juniper, crushed gravel, and green pepper, our Cab Franc is lighter in tannins and slightly higher acidity than our Cabernet Sauvignon. The 2017 Cabernet Franc is very versatile with food- from the nearly-impossible-to-pair-with asparagus to BBQ to pasta to traditional Easter food offerings. Cab Franc…it’s what’s for Easter.